Despite what the little boy’s mom told him in the video above, the jury is still out on whether it’s raining or sprinkling. But we don’t care. 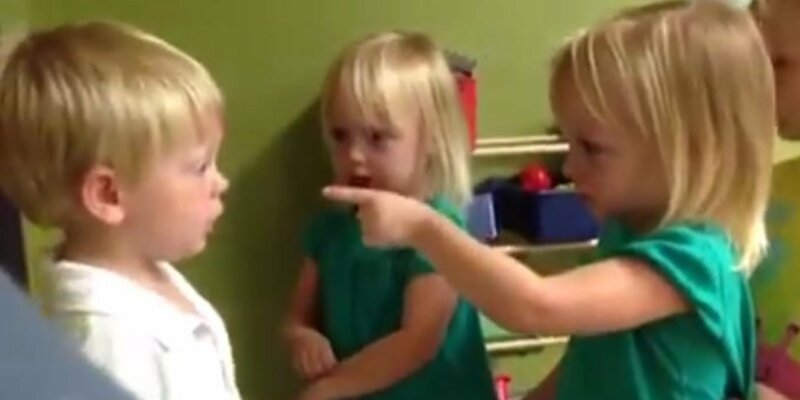 As far we’re concerned, these toddlers can debate forever and ever about this very important topic, because they are just too precious for words. They even get a little existential during the argument: “You’re not real. I’m real,” the boy argues. In the end, neither party can be convinced about the weather. But the debate takes an adorably serious turn when the little girl pokes the boy in the chest. “You poked my heart,” he says, sadly. Well, kids, you poked our hearts just by being you.